It’s close. Voting ends Sunday afternoon! If you haven't weighed in yet in this week's fabric of the week contest, the results are close this time so be sure to VOTE. Right now Carolina Harris of San Jose, California, design leads Rachael Barkess of Perth, Australia by about 40 votes. Results so far are here, and voting will close around 3pm EST on Sunday, December 7. An Australian wins our second fabric-of-the-week contest! Congratulations to Melissa-Jane Harrison of New South Wales, whose lovely orange flower pattern won in the voting this week. You can see more of her work at Mahogany Turtle, but for the next week you can buy her design in the Spoonflower Etsy shop. designs by Linn Bodur of Sweden (below: lower left), Rachael Barkess of Perth, Australia (upper right), Aloramyst (Canada – upper left) and Carolina Harris (US – lower right). Take a look and be sure to vote! View the results so far here. Voting will close around 3pm EST. 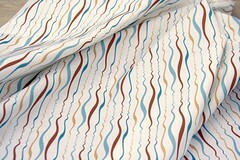 Well, Crafty Ginger is the winner of the first Spoonflower fabric-of-the-week contest. You can see her lovely design here, but even better — you can buy it in the Spoonflower Etsy store for ONE WEEK only. Be sure to check out more of her work on her web site. We also loved the other two designs, the Gingko by Cameron Blazer (see more from her at the Cottage Industrialist), and Tri-Color by Lisa Ashby over at All Things Dearly. But the final vote tally was: tri_color by Lisa Ashby, 262 | Cocoa_Stripe by Crafty Ginger, 635 | Gingko by Cameron Blazer, 519. The queue is getting lengthy, but if you want to enter your design for voting in a future contest, you can do that here. VOTE for your favorite design. Cocoa_Stripe by Kari Kail. See her work at Crafty Ginger. tri_color by Lisa Ashby. See Lisa's work and visit her shop at All Things Dearly. You can see how the voting is going so far here. If you haven't voted yet, you can do that here. Remember, starting Monday, November 24, the winning fabric will be on sale in our Etsy shop for ONE WEEK only. 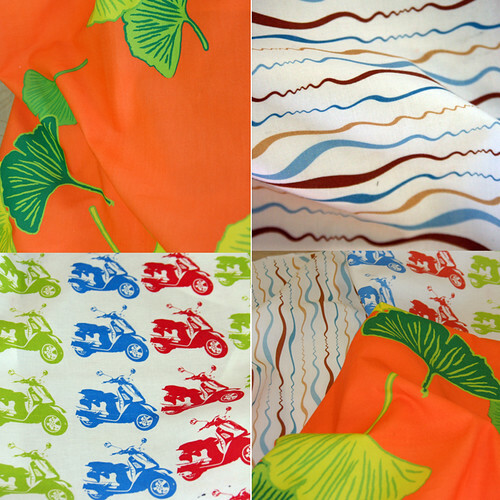 Review the rules for Spoonflower's Fabric-of-the-Week contest here. Cocoa_Stripe by Kari Kail, tri_color by Lisa Ashby. 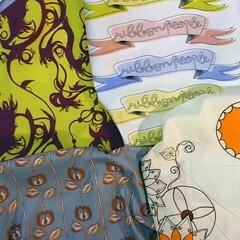 You can read the rules for Spoonflower’s Fabric-of-the-Week contest here. You can see how the voting is going so far here. If you haven’t voted yet, you can do that here. 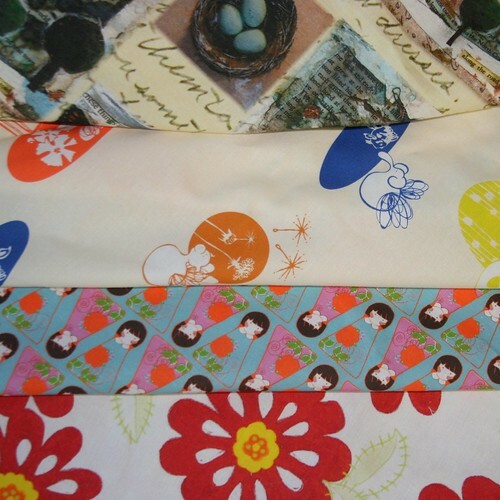 Starting Monday, November 24, the winning fabric will be on sale in our Etsy shop.